Representing the Injured – Not the Insurance Company! Injured in an accident? We’ve got you covered. Nuestro abogado está listo para defender a todos nuestros hispanos en la comunidad. From auto, truck, motorcycle, bicycle, and pedestrian accidents, to dog bites, slip & falls, wrongful death claims, injuries at work – Accident Lawyer Shannon J. Sagan covers a wide scope of personal injury claims. We are not a firm that takes in large volumes of cases. We are selective in the types of cases that we handle so that every case and client of our firm is given personal and professional attention. Since 2005, Shannon J. Sagan has handled claims against all of the major insurance companies and obtained millions of dollars in settlements for his clients . 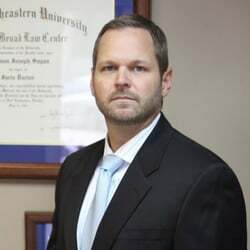 Mr. Sagan represents his clients with high ethical standards and legal ability. Need a Quick Case Evaluation? Attorney Shannon J. Sagan has a professional, bilingual staff ready to accommodate Florida’s diverse community. Submit your case for a FREE evaluation, and learn if you qualify to receive compensation.